Lizards love to sun themselves during the day. Your porch may very well be a nearly ideal place for them to catch some sun and warm up. If you live in an area with many lizards, keeping lizards off your porch might be an issue you have to deal with. 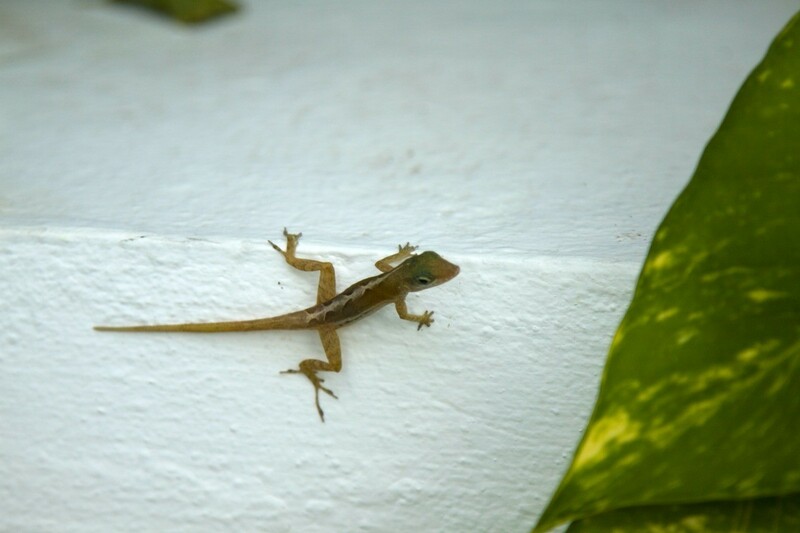 Question: How Can I Keep Lizards Off of the Porch? It's warming up in GA already, the lizards have started moving. I have a great fear of them, and they love my porches and my doorsteps. Does anyone have ideas to keep them off? I know, I know, they eat spiders, etc. I don't mind spiders as much, but rodents and reptiles, UGH! No, they probably won't hurt me, but they'll make me hurt myself. And no, I can't ignore them they run towards me instead of away from me! An outside cat is out. Is there something I can put out to keep them away? They can have the rest of the yard, just stay off my porches and doorsteps! Lizards will not harm you. There aren't any poisionous ones in this country, that I know of, and they don't particularly bite anyway. They are just harmless. They probably like your porch because it is warm and smooth. I keep a 13 gal. plastic trash can butted up against the steps and the house. They fall in and that's it. When they no longer are moving I throw them in the woods. Good Luck. I have used moth balls in my yard and under my house for years to keep bugs and snakes away and I have not seen any lizards either, so maybe they work on them to. I also go around the line of my property and spread lime, snakes, I know, won't cross it, so that my work as well for you. I don't mind the lizards outside, we have plenty. I don't like them in our enclosed porch. They are eating my plants. I tried the moth balls; one by each plant. It didn't bother them. They were on them again today. Any thing else I can use. I have to be careful, as I have birds and a little dog who goes out there.